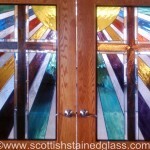 Inspired by the prestigious beauty only found in the lush landscapes and rolling hills of the Mission Hills country club golf course, Scottish Stained Glass derives many of our most tailored designs from our local surroundings. 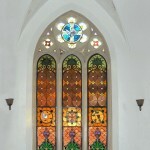 Let our stained glass designers create a piece of art with the meticulous details and lavish palette as appreciated in Mission Hills. 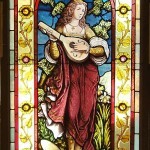 Scottish Stained Glass can also create windows using clear, textured glass that will draw colors from your landscape while giving you the privacy that you desire. 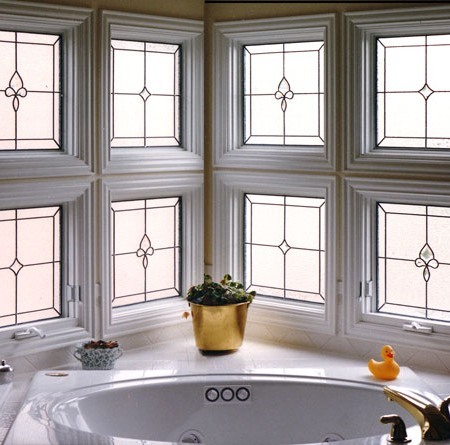 From subtle and tranquil to inspiring and vibrant, our designs are limitless and the look is timeless. 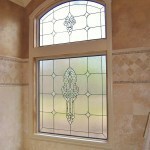 Start the day with a stained glass decadence to greet you in the morning in your master bedroom or a spa-inspired luxury in your master bath. 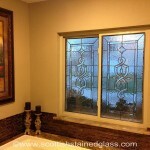 We can even make a custom backlit ceiling feature to light up your powder room! 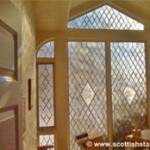 Make a first and lasting impression with Scottish Stained Glass in your front entry. 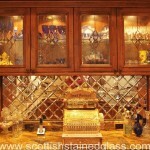 Add depth, dimension, and sophistication to wooden cabinetry in your kitchen with stained glass insets. The possibilities are endless. 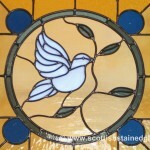 Scottish Stained Glass specializes in a myriad of prominent styles including Mission/Craftsman style designs best associated with Frank Lloyd Wright, to the contemporary appeal of abstract designs, to the more classic patterns of Art Nuevo or Art deco styles. 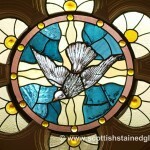 Let Scottish Stained Glass make the first impression in your home. 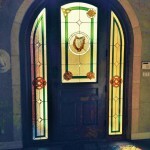 Any art connoisseur can distinguish an original, handcrafted work of art from a reproduction. 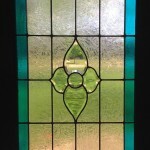 Add the luster of a gallery quality stained glass masterpiece, made by our local artisans, as a conversation piece in your front entry. 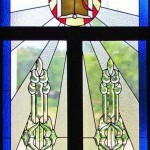 Mission Hills will soon be associated with the home of the legendary George Brett, the inspired conclusion to Ernest Hemingway’s a Farewell to Arms and the coveted allure of Scottish Stained Glass!